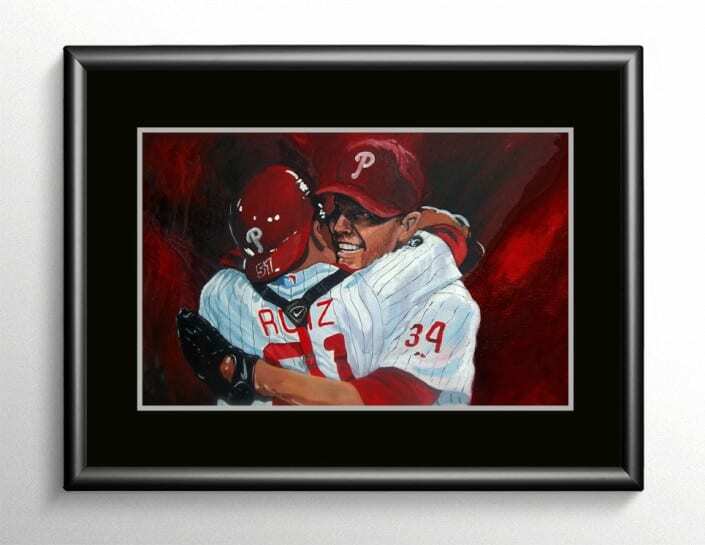 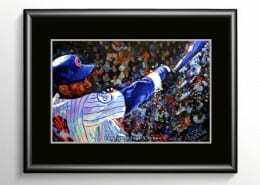 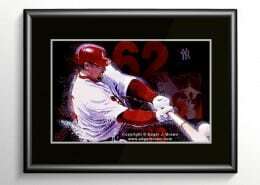 This painting captures the excitement of Roy Halladay’s perfect game with the Philadelphia Phillies. Halladay basks in his moment — breaking into a big smile and wrapping his arms around catcher Carlos Ruiz before disappearing in a joyous, jumping gray-and-red mob of teammates. 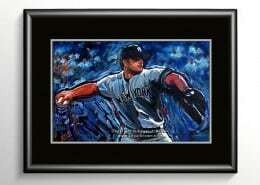 It was the 20th perfect game in Major League history.